Please contact us if you would like to come meet Zoo, or would like any more information. “Zoo” s an absolute gentleman, and loves the attention of people. He defines all the OTTB stereotypes with his outstanding temperament. 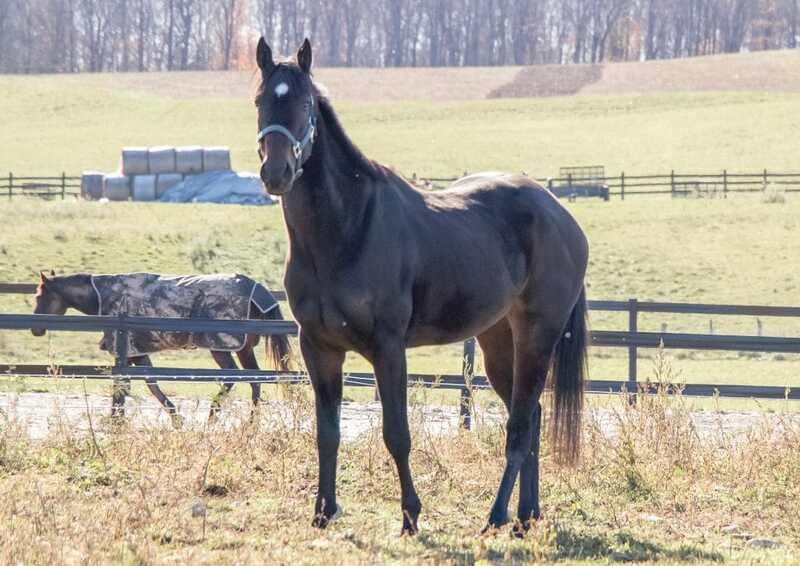 JC NAME: Mighty Zeus, aka “Zoo” 2015 16h Dark bay gelding with a star. He has very impressive lineage. He is by Bernardini, out of Smart Believer -Smart Strike. He also has AP Indy, Seattle Slew, and Secretariat on his sire’s side, as well as Mr. Prospector and Pleasant Tap on his dam. Zoo is as quiet as they come. At just three years old, Zoo has the mentality of a much wiser horse. He willingly has taken everything in stride; gone through puddles, walked up and down roads, shared the road with traffic and trailered like a dream. He is the perfect gentleman on the ground and under saddle – he has never put a foot wrong. Zoo is as kind as them come and will do anything to please his rider. Nothing phases him, so he is very amateur friendly, and would even safe for a child or teen to bring a long in a program with a trainer. On his first under saddle ride post track, Zoo was a saint. He walk, trot and cantered around without looking at a thing and a loose rein. The possibilities with this boy are literally endless, and we are looking forward to seeing where this next chapter will take him!